The Offspring Streaming New Single, "Days Go By"
'90s punk rock staples The Offspring are now streaming their new single, "Days Go By," online. You can listen via the SoundCloud player below. After a long wait, it appears we're edging closer to the release of a new album from The Offspring. 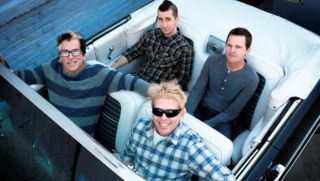 According to frontman Dexter Holland, The Offspring have just finished work on their as-yet-untitled new album.